Last years E3 had a ton of explosive announcements, one of them being the latest I.P. from developer From Software. Known for their work on the Souls series and Bloodborne, Sekiro: Shadows Die Twice is the latest title added to their repertoire of third-person games relying on tactics and intelligence in dire combat. The teaser trailer grabbed everyone’s attention and pulled hard to make sure you noticed the breathtaking details, familiar combat, and rich world in which you would lead Sekiro down a path of revenge. With the game set to release in only a few days time, we proudly bring to you the first 19 minutes of gameplay. Learn about Sekiro, see how he got his prosthetic arm, and gain a glimpse of the new combat mechanics that will surely make Sekiro stand out among the rest. Sekiro: Shadows Die Twice follows the story of the titular shinobi, Sekiro, on his quest for revenge after a brutal samurai kidnaps his lord. Developed by From Software, the game has many reminiscent features of their other iconic games, namely, the Souls series and Bloodborne. Featuring combat that requires timing, patience, and tactics, Sekiro is a perfect setting for the kind of combat From Software is known for. 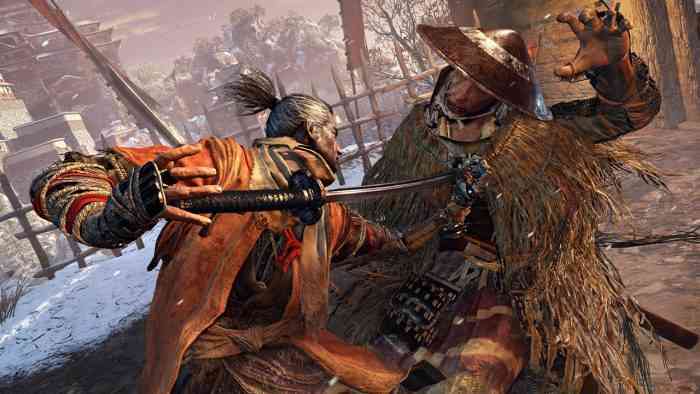 New to the game is the grappling ability added to Sekiro’s prosthetic hand to scale buildings or close the gap between enemies, as well as a host of other unlockable features. Sekiro: Shadows Die Twice is set for launch on March 22, and will be available on PC, PlayStation 4, and Xbox One. For more information check out the game’s official website.